You know about the concept of Minimum viable product and that it is a part of lean methodology. It is supposed to create that base framework for your product offering that can get you funded and give a great kickstart to your startup. But the one thing that many seem to miss is the part about an MVP and especially lean methodology, being a customer-focused approach rather than a product-centric one. It is often perceived that an MVP has much to do with product development and little to do with the end-customer. But much like the actual reason we take our product to the market is the reason why we create an MVP, to generate sales. After all, all sales come from our valued customers and delighting them is our foremost objective. 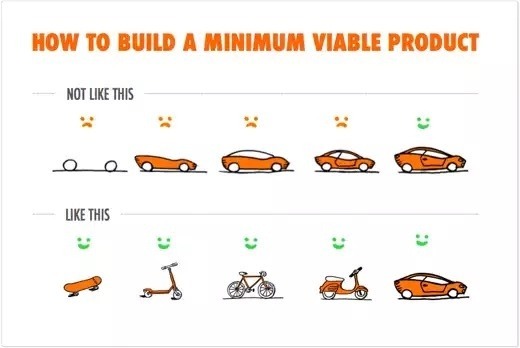 Most of the time, entrepreneurs take an MVP as a low value, bare minimum, no frills prototype. As such they do not invest much into customer research to find out what it is exactly the users want. They know they have a product idea and they want a version that displays their idea in a true form. There is nothing wrong with this approach. In fact, this is one of the biggest purposes that an MVP takes care of: turning ideas into reality. However, what needs to be paid heed to is the market. The customer needs to find the product we have at hand useful, and they need to be willing to pay for it. The foundation of an MVP should lie in the fact that you are building something although frill free yet usable. 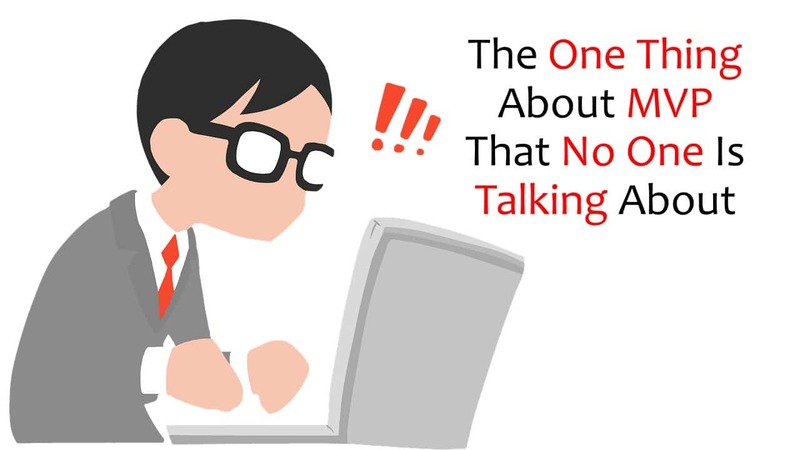 Whether it is usable or not is a feedback that will come from your customer. As an entrepreneur who came up with the original product idea, you might always feel that the product is usable and there will be demand for the product in the market. So, when you build an MVP with this approach, you are building a product, step-by-step, not really a marketable product. You need to give the customer something to start with. Something usable. It might not be the whole thing, but a good place to start off with. So, in this diagram, even though the end product is actually a car, you are starting off with a skateboard, which is any day a better offering over just one wheel in the first diagram. You keep building on your offering, each time with your customer feedback thus making viable prototypes over all the stages of lean methodology instead of creating parts of it which is actually of no use to the customer. To get a VC funding, you need to create a marketable MVP that has already seen some interested customers who are willing to buy it and try it. For that you have to give them something which is an improvement over the product they already have. In order to learn and understand what kind of improvements they are looking for, you need to ask them questions and find out what they really need. If they already have a skateboard, give them a scooter; if they already have a scooter give them a cycle, so on and so forth. An MVP should be as customer-centric as possible. If you are looking to create an MVP for your startup, we would be happy to develop one for you in as little as 30 days. You can start off with a set of free wireframe and scope while we build a stunning MVP for you and your customers. To learn more, get in touch with us, here. What is the Difference between User Experience and Customer Experience?